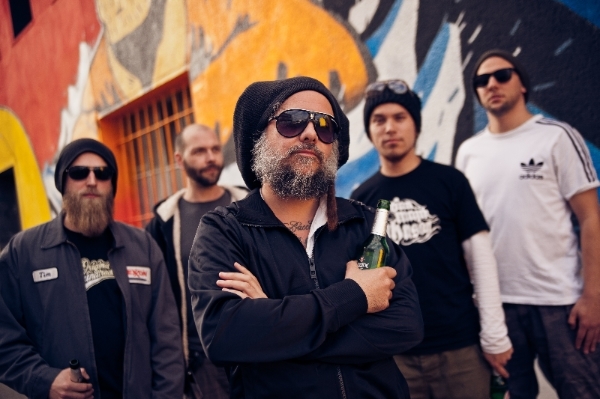 Jaya The Cat are renowned for their constant touring and reggae-punkrock-parties. Having first visited Europe, from the States in 2004, the band enjoyed it that much, they never went home! Jaya The Cat will be touring throughout the Summer months, in support of their most recent release, “More Late Night Transmissions With…”, re-issued on green Vinyl and Vinyl effect CD by Bomber Music. Jaya The Cat are originally from Boston. In 2004 they toured Europe and never went home. Now based in Amsterdam, their sound is the soundtrack to drunken sunrises, narrow escapes, dysfunctional love affairs, political disillusionment, raised glasses in seedy bars, carnival parades and late night dives, distilled in dancehalls and clubs from Brighton to Barcelona to Bucharest. Their classic 2007 album “More Late Night Transmissions With…” is now re-issued on green Vinyl and Vinyl effect CD by Bomber Music on May 16th 2014. Featuring crowd favourites "Hello Hangover" and "Thank You Reggae" , the album has been unavailable for many years and this new version also includes bonus track, Jaya The Cat’s cover of Jimmy Cliff’s "The Harder They Come"
Adding keyboards, samples, percussion and occasionally even a Tiki Bar to their onstage act, the average Jaya the Cat concert becomes as much a party as a performance, with the audience singing, dancing and drinking along. Jaya The Cat tour throughout Europe constantly and have recently been making some waves in the UK also. ‹ NEW TOWN KINGS VIDEO-AND VLR GUILFEST STAGE!